They don't hand out awards for the most picturesque grounds in Spain but if they did, La Corredoria in La Posada de Llanes would be in with a good shout. At the foot of the La Sierra del Cuera, the home of Urraca C.F. 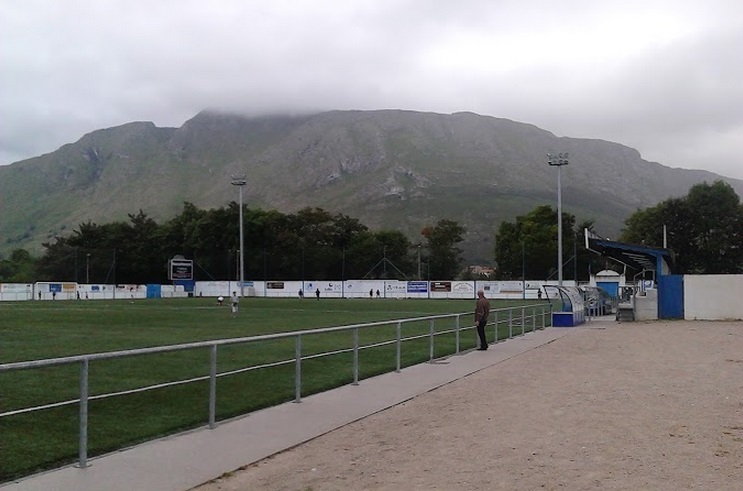 easily has the most stunning views in the Asturian section of Tercera División. In truth it shouldn't really come as much surprise as La Posada de Llanes is located in one the most beautiful parts of a beautiful region. Sandwiched between mountains and the sea, it's hard to find an ugly angle. When it comes to beaches, Llanes is number one, but when it comes to football it's much further down the pecking order. With C.D. Llanes currently playing in Regional Preferente, Urraca C.F. are now the area's highest placed club. 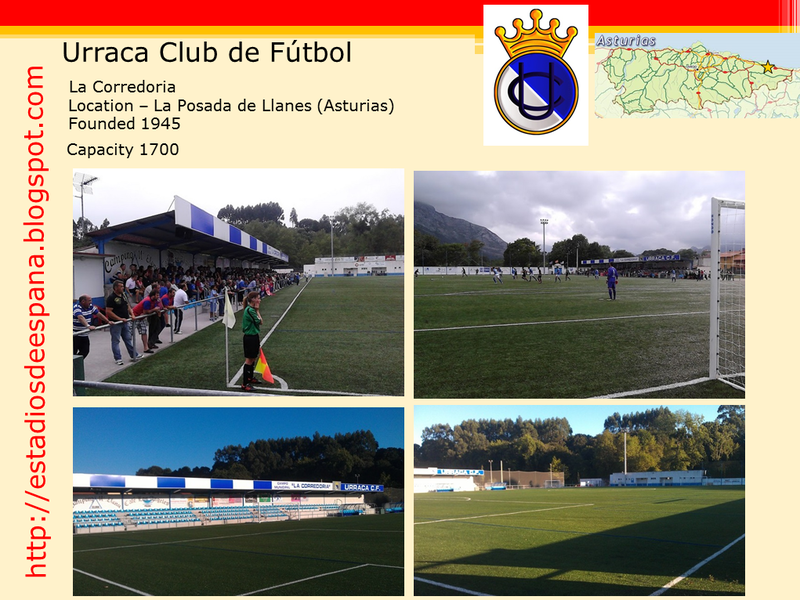 Founded in 1949, Urraca C.F. (literally Magpie C.F.) have spent almost all their existence in the lower regional leagues. The club's biggest achievement came in the 2011/12 season when they gained promotion to Tercera Division where they remain to this day. 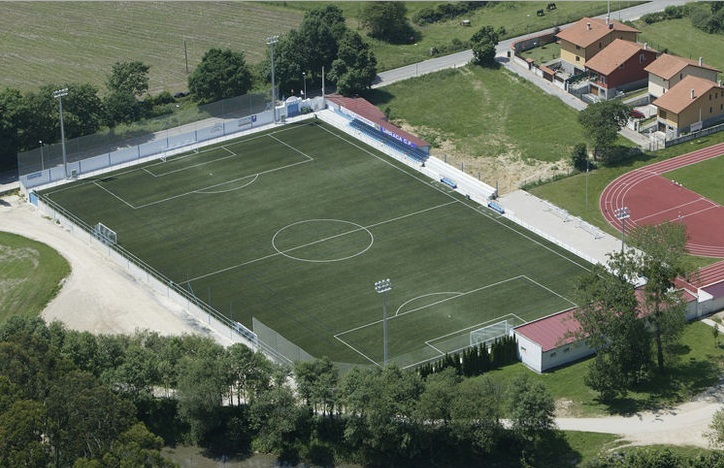 The first season in the Tercera saw the club finish a very respectable thirteenth. 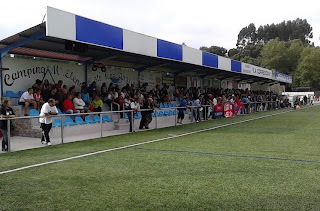 The club's ground, La Corredoria, is typical of this level with a small stand seating 198 over four rows. This cover runs from the south-west corner northwards to just past the half-way line, whilst hard-standing is found on the remaining three sides. The current layout dates from 2011, thanks to a €525,000 re-fit courtesy of the Government of Asturias and Llanes City Council. The refurbishment also saw the installation of FIFA two star synthetic pitch, which was inaugurated in January 2012 when the Spanish U17 side met their Italian counterparts. Like any lower league Spanish ground worth its salt, it has a supporters' bar, which is tucked away in the south-west corner of the ground. The bar and the changing block at the northern end of the enclosure date from 2004, when La Corredoria was even more pastoral. However, what really marks La Corredoria out is the aforementioned views of La Sierra del Cuera. Whether covered in snow, mist or simply a (rare) clear day, the mountain range towers over the small ground and provides a nice distraction if the football is not up to scratch.